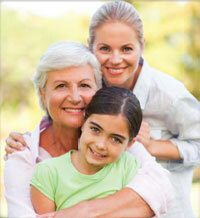 Generations Home care was there for us when we needed them! My mom fractured her hip and was unable to care for herself after being released from the rehab hospital. She needed 24 hour care and I was not sure where to turn. Thankfully, I was referred to Generations. Lisa came out to the hospital, met with my mom and me and came up with a perfect schedule of caregivers with very little notice. They met us at my mom’s residence and each caregiver was wonderful! I can’t say enough about how professional, compassionate and responsive these caregivers were. After they finished caring for my mom I even had a few calls from them checking to see how things were going for my mom. Thank you, Generations, for making a very challenging situation much easier to manage. When one finds themselves in need of a caregiver it can be an emotional position. Having to trust someone when your in a very comprising position. I have found that trust with Generations. Having caregivers taking care of my most personal needs. That level of trust is acquired. The caregivers at Generations Home Care are kind, courteous, punctual, and most of all caring. Since going to work at my mom’s home, they have given us both the peace of mind that she is being well looked after!